What is the Peacock Angel? Proceeding to the nave of the Sanctuary one finds several tombs belonging to the earthly incarnations of the Seven Great Angels. Different colored silks (the seven colors of the rainbow) cover the tombs, and these are knotted several times. Those pilgrims who seek assistance from the Seven Angels in solving their problems tie a knot (or knots) in one of the silk rags while simultaneously untying another one. The untied knot ensures that a previous pilgrim that tied the knot will soon find a rapid solution to his or her problem. The nave of the Sanctuary is connected to the chamber housing the tomb of the Angel Sheikh Hesen. From there one can move into the room of Shiekh Adi’s tomb. A pilgrim seeking the assistance and blessings of Sheikh Adi will walk around his tomb ten times while praying intensely. 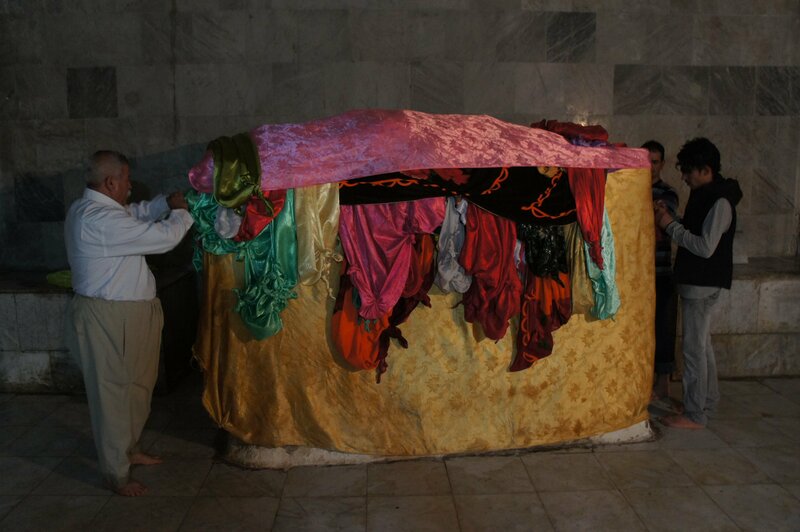 Attached to the chamber of Shiekh Adi’s tomb is the cave of the “wishing rock.” Legend has it that if one manages to throw a piece of cloth on top of this rock over a lit candle one’s wishes come true. This is said to be the rock that Sheikh Adi magically elevated in the air to convince some Sufi sheikhs of his divinity. 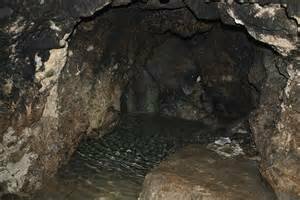 Off to the left of Sheikh Hesen’s chamber is a small cave holding the sacred brook of Zemsem, which springs forth from a rock. Popular legends maintain that after being challenged by local Sufis Sheikh Adi tapped this rock and water magically began to flow from it. 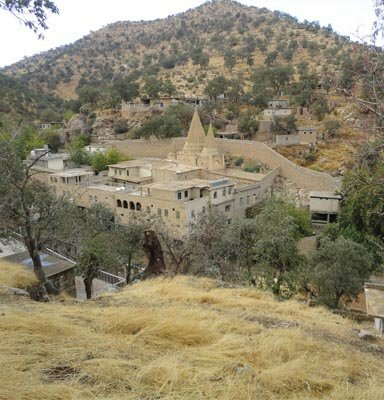 Outside of the Sanctuary one can find other shrines dedicated to the Seven Great Angels and other important deities dotting the Holy Valley of Lalish. At one of the important shrines is the White Spring, so called because at the time of the Flood its water is said to have remained clean and clear, rising as a white tower towards the Heaven. This is where Yezidi children are commonly baptized, or the water is collected in a jar and taken outside of Lalish for baptisms. Another sacred place in the Holy Valley is Mount Arafat, which is one of the hills rising above the valley. This is supposedly one of the landmarks that Sheikh Adi magically transported from Mecca to Lalish. As a pilgrim climbs up Arafat he or she pauses at a flat platform halfway up the mountain, where sits a small whitewashed structure, the Stone of Felek. This is the abode of Fortune, where death does not exist. Pilgrims walk around the structure nine times. They then kiss the structure and place money in the hole, hoping that it will earn them good fortune when they return to their normal lives.